Is US Counterterrorism Fueling Islamist Militants in Yemen? A propaganda video from the Al Qaeda-linked militant group Ansar Al Sharia shows fighters overrunning a security position in the city of Zinjibar, Yemen. 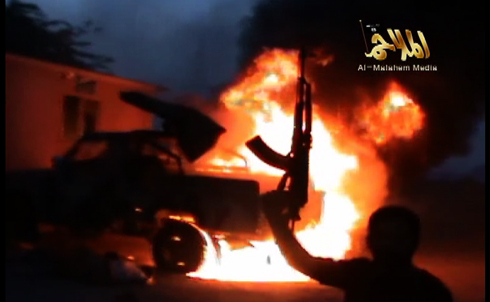 Militants captured the provincial capital in May 2011 and continue to hold the city. 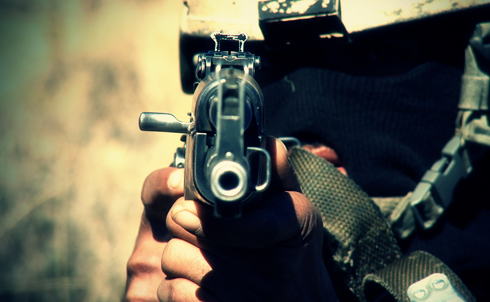 The US counterterrorism campaign waged in alliance with the failing regime of Yemen’s president Ali Abdullah Saleh has by all accounts backfired: as Jeremy Scahill and Big Noise Films’s Richard Rowley discovered on the ground in Yemen, the US targeted killing campaign and support for Yemeni counterterrorism forces has inflamed a new generation of militants. 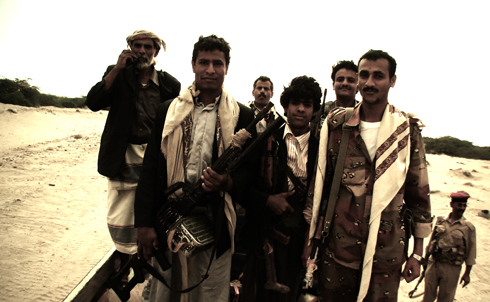 Soldiers with the 25th Mechanized Brigade near the front lines in Zinjibar Yemen. 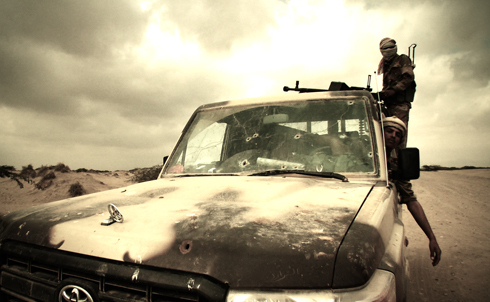 When militants from Ansar Al Sharia overran the city, the 25th Mechanized was trapped under siege in their base for over 100 days. General Mohammed Sumali from the 25th Mechanized Brigade stands with his troops near the front lines in Zinjibar. General Sumali is tasked with retaking the city from Ansar Al Sharia. A soldier from the 25th Mechanized Brigade near the front lines in Zinjibar. Many of General Sumali’s troops appear underfed and poorly equipped—a far cry from the US-backed counterterrorism units commanded by President Saleh’s family members. 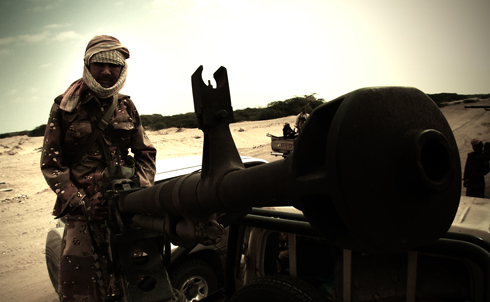 A soldier in Yemen’s elite Counter Terrorism Unit on a training mission near the capital. 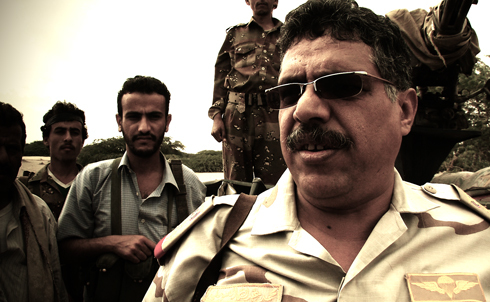 The US-trained and -funded CTU is commanded by President Saleh’s nephew, Yahya Saleh. They have been largely absent from the battle in Zinjibar. Since the mujahedeen war agains the Soviets in Afghanistan in the 1980s and continuing after 9/11, Saleh has famously milked the threat of Al Qaeda and other militants to leverage counterterrorism funding and weapons from the United States and Saudi Arabia, to bolster his power within the country to neutralize opponents. 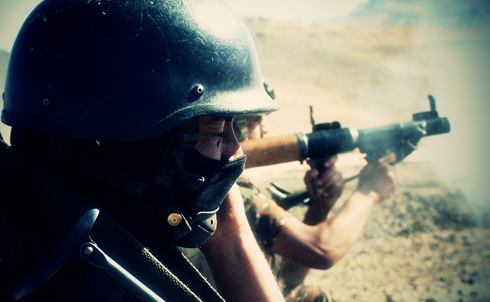 A CTU soldier launches a rocket-propelled grenade on a training exercise near the capital city, Sana’a. Critics allege that the CTU is more concerned with defending the regime than fighting terrorism. 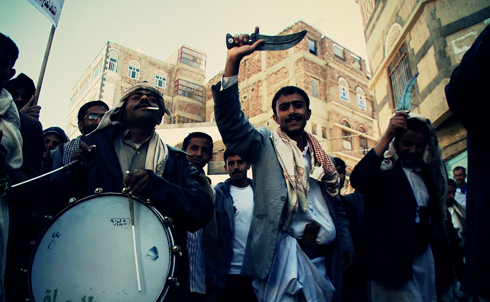 Anti-Saleh protesters in Sana’a dance with their traditional daggers, called jambiyas. 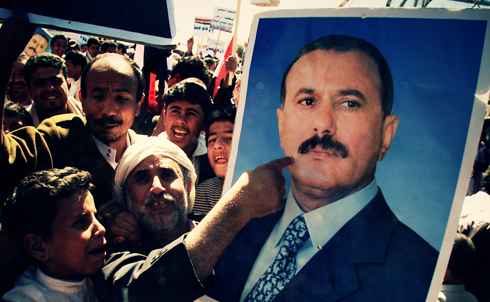 The protests that began over a year ago continue to demand the departure of Saleh and his entire family from positions of political and military power. 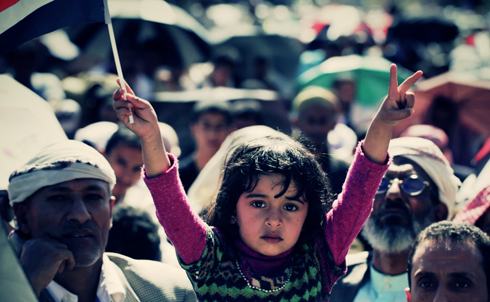 A young girl at an anti-Saleh protest before Friday prayers in Sana’a. 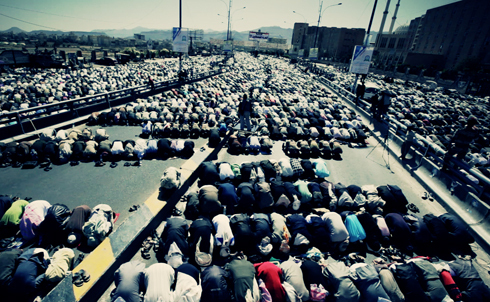 Tens of thousands attend Friday prayers with the opposition in Sana’a. 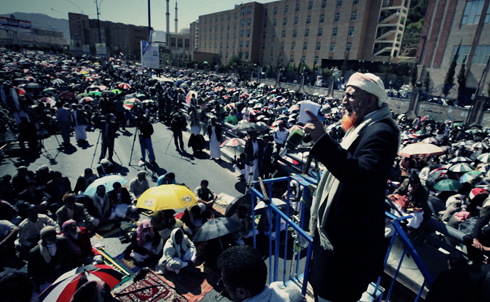 Abdullah Sattar, a conservative cleric, addresses the opposition rally before Friday prayers in Sana’a. A much smaller, but equally enthusiastic crowd of Saleh supporters hold their own Friday rally. 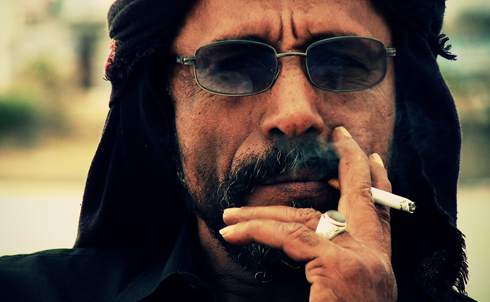 Mullah Zabara, a tribal leader from Southern Yemen, says that American airstrikes are strengthening Al Qaeda. "You say Al Qaeda are terrorists, we say your air strikes are terrorism." For more on how the US counterterrorism campaign in Yemen has backfired, read Jeremy Scahill’s article in this week’s issue of The Nation.